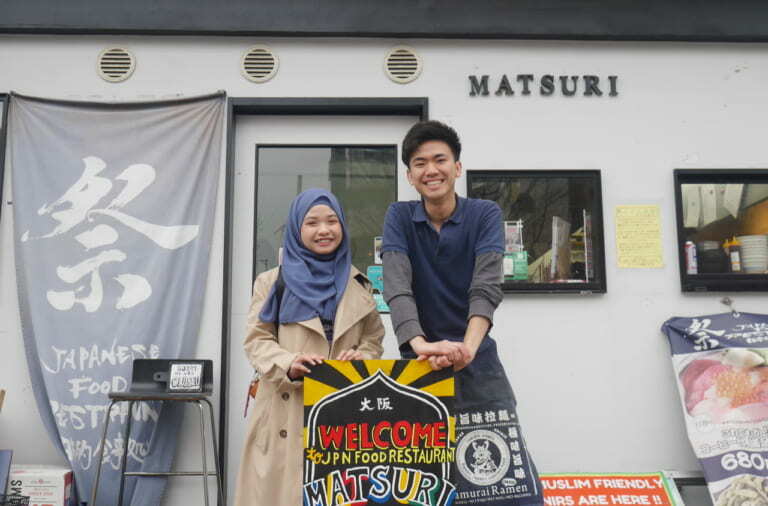 So far, we have launched Asakusa & Ueno area, Osaka and Kyoto Muslim-friendly maps. 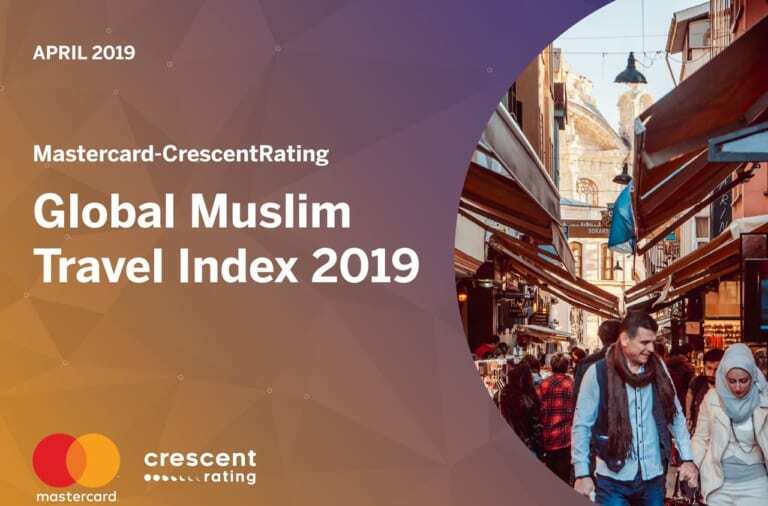 And, since recently the number of Muslim residents and tourists has been increasing in Japan, as well as tourists visiting Kobe. 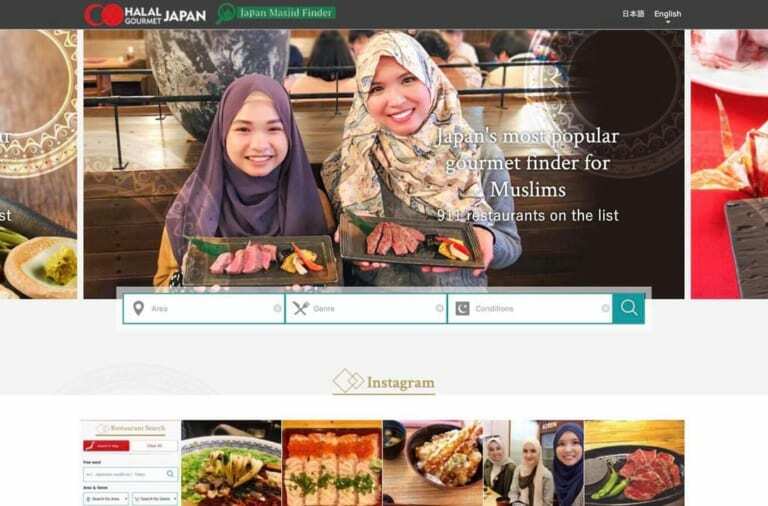 So, to fulfill the growing demand of Kobe, we have launched new “Muslim Friendly Map –Meet Islam in Kobe–”. 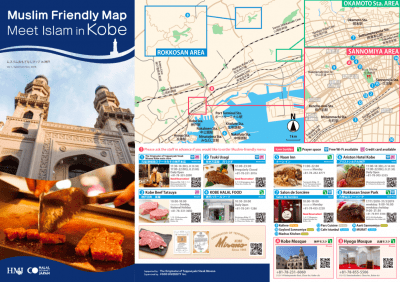 We would like to introduce interesting content about Kobe in this map such as the first historical mosque in Japan “Kobe Mosque” and Halal Kobe Beef. Kobe is known as the city where the first mosque “Kobe Mosque” was built. 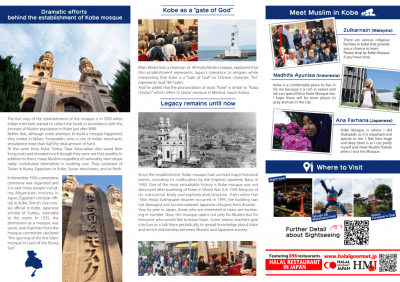 It is said that the implementation of construction plan of Kobe Mosque started in 1928 after the First World War. The mosque built in 1934 with the great contributions from a group of Indian and Turkish-Tatar people. 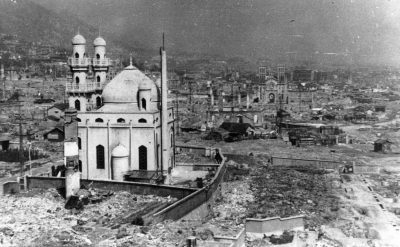 Kobe also suffered significant damage caused by air raids during World War II. 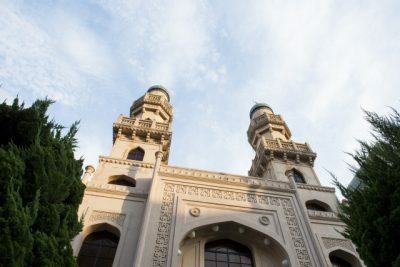 However, Kobe Mosque was the only building that survived the attacks. The mosque recorded didn’t suffered major damage. 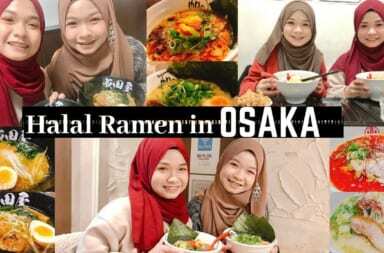 Currently, the mosque is mainly managed by Pakistani people who live in Japan. 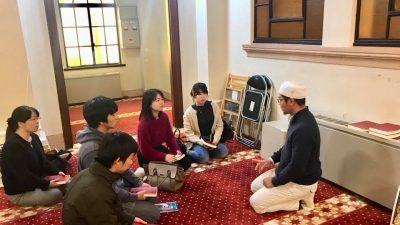 Not only Muslim, many Japanese people that are interested in Islam also visiting the mosque. In addition to Iftar and Eid prayer, other religious events are actively held at the mosque. Everybody knows the excellent flavor and highest quality of “Kobe Beef”, top Wagyu beef brand in the world. 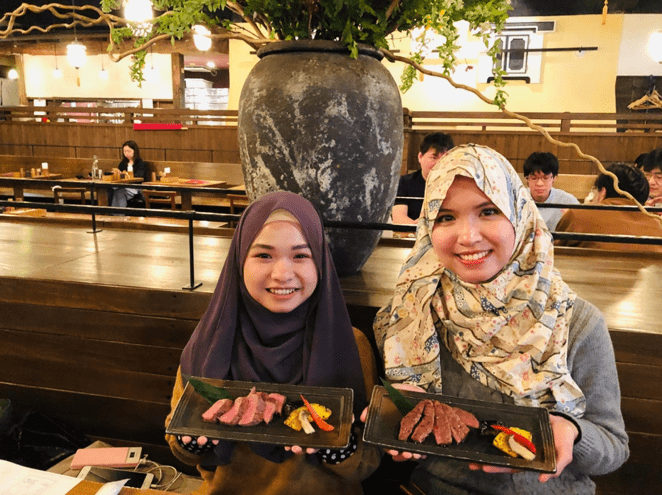 Here in “The Originator of Teppanyaki Steak Misono Kobe Main Store” Restaurant in Kobe you can taste the world first Halal Kobe Beef Teppanyaki. 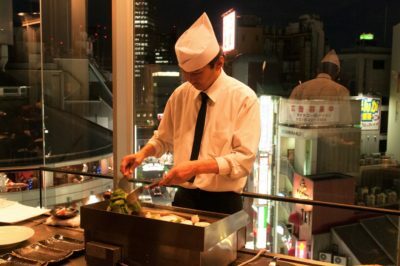 The store opened as Japan’s first Teppanyaki steak house in 1945 shortly after World War II. 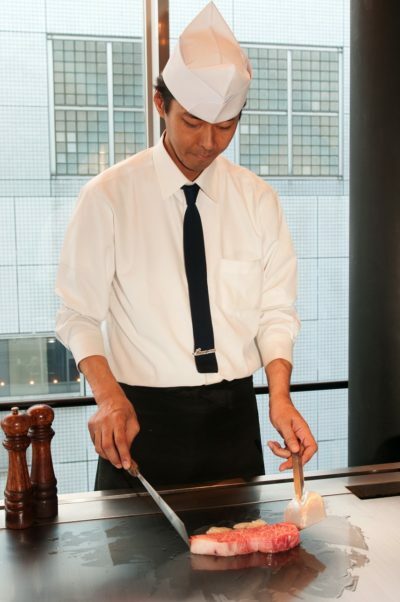 Misono Restaurant offers only selected A4 and A5 ranked Japanese Black Beef including Kobe beef and has gained great popularity from Japanese, as well as overseas customers. 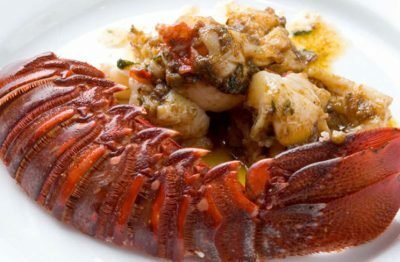 Misono Restaurant also offer seafood and a la carte menus. 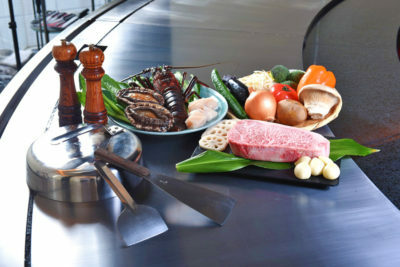 Misono Restaurant prioritize their customers to eat warm meals by having the Teppan (iron) plate in front of each table while keeping the style of Teppanyaki steaks. Therefore, they have provided two cooking methods, so customers can choose by themselves. 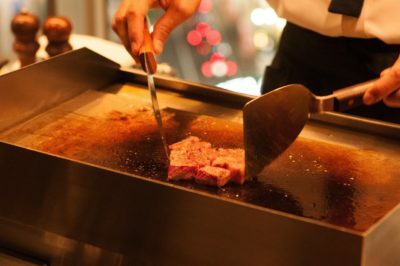 Although it differs from style A, they grill beef with dishes and cooking utensils exclusively used for Halal. 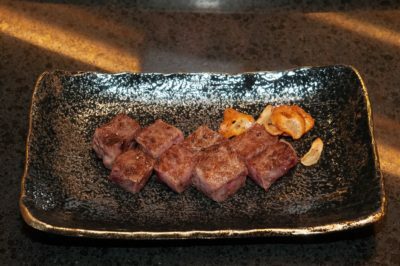 They grill meat by placing Halal Teppan plate on top of a regular Teppan plate. 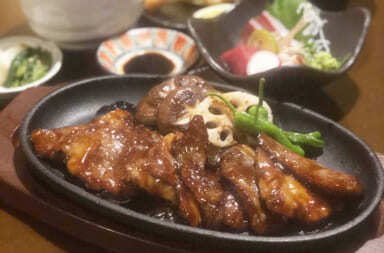 Although restaurant also use the same iron plate to grill non-Halal beef, this method makes the beef juicier. Customers can come and eat if rooms are available on the appointed day. 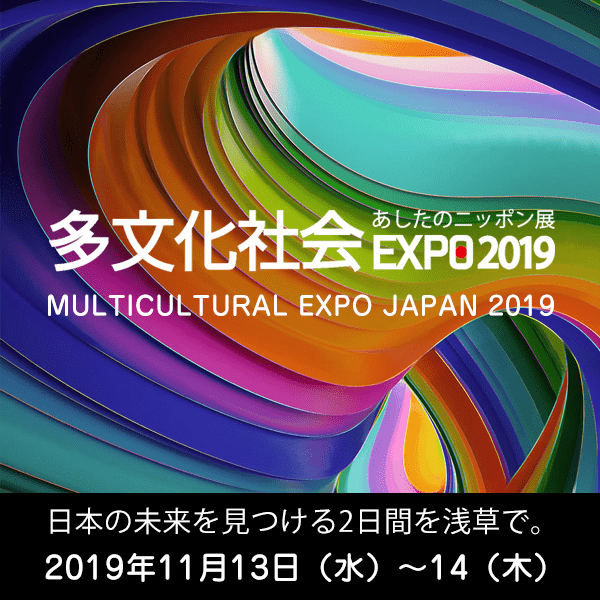 Because of the limited supply, they may not be able to accept reservation due to stock status.